Some of the winter’s biggest esports tournaments are still a ways off, but Super Smash Bros. Ultimate, which ended 2018 on a Donkey Kong smackdown, begins 2019 strong with a handful more events taking place across the globe this weekend. Last weekend, I noted that the still-evolving meta around Smash Ultimate meant the Let’s Make Moves tournament in New Jersey was likely to feature a lot of different fighters and strategies. Sure enough, Gavin “Tweek” Dempsey won the tournament through a combination of Wario, Donkey Kong, and Chrom. While Palutena, Fox, and Peach remain popular picks overall, there was zero overlap between picks for the top four finishers. This weekend, Smash competitions ramp up even more with the SoCal Chronicles in California, Kumite in Tennessee, Smash Conference in Florida, and Valhalla II hosted in Denmark. As a result, some of the biggest names in the esport are also scattered across the globe. Adam “Armada” Lindgren was supposed to attend Valhalla but ended up being sick, though William “Leffen” Hjelte will still be in attendance. Valhalla II will be hosting both Melee and Ultimate tournaments, and the event is already underway. It will continue on both Saturday and Sunday around approximately 11:00 a.m. ET with finals slated for Monday, all of it streaming on Twitch. One of Melee’s other gods, Juan “Hungrybox” Debiedma, will be in Florida at Smash Conference also trying his hand at both games. Other Smash veterans will join the fray, like Jason “Mew2King” Zimmerman, Samuel “Dabuzz” Buzby, Leonardo “MkLeo” Lopez, and others. All of those tournaments will start around 12:00 a.m. ET on Saturday and Sunday, with play concluding on both days at 10:00 p.m. ET. You can stream those matches here. SoCal will be Saturday only, from 12:00 p.m. to 10:00 p.m. ET here, while Kumite, which will feature a bunch of other fighting games like Dragon Ball FighterZ and Soulcalibur VI, will be streaming across a number of different Twitch channels. You can find the full rundown of them here. Meanwhile, for those keeping track at home, Reddit user BarnardsLoop has put together an extremely interesting collection of all the most popular and successful Smash Ultimate fighter picks from events both big and regional since the game came out. While the inclusion of a bunch of lower tier tournaments skews the data a little bit, it’s a good stick to measure this weekend’s results by as the competitive scene around the game continues to coalesce. 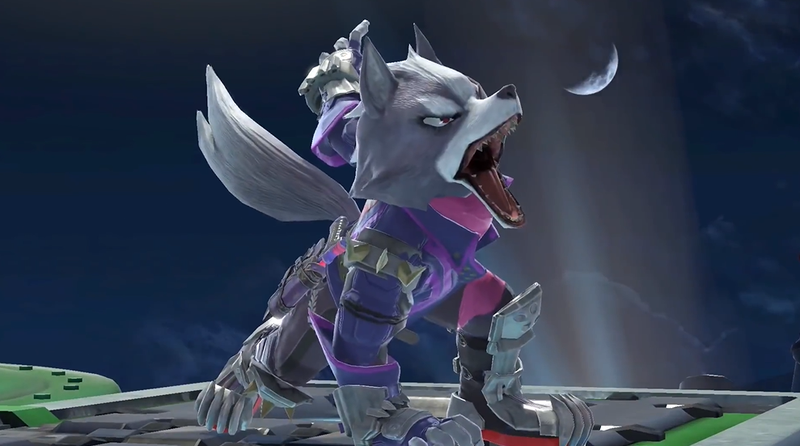 Wolf is by far the most popular, but Fox is still superior at higher tier events. The rivalry lives on.